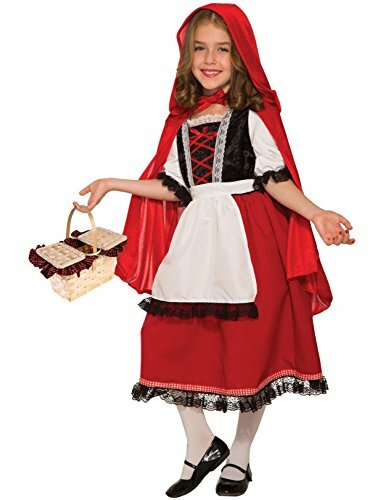 It's time to wander through the woods to grandma's house in a Gothic Red Riding Hood Costume for girls. 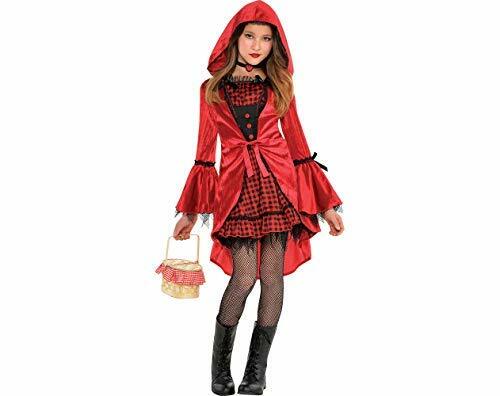 The red and black gingham dress is trimmed with black lace and has an attached red satin jacket that ties at the waist. 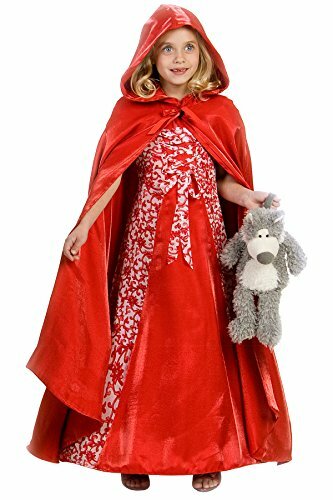 The oversized hood and flared bell sleeves add a bit of mystery and drama to this Red Riding Hood costume. Tattered black mesh trim hangs from the hem of the skirt and sleeves to give an edgy look. 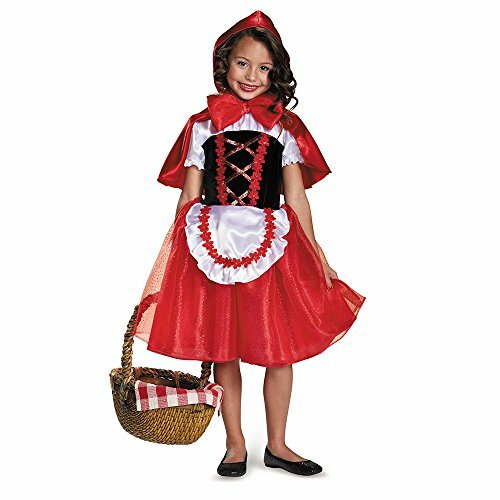 Complete this dark Little Red Riding Hood costume with the included choker necklace. It's black with a rose charm and secures in the back with a hook-and-loop closure. 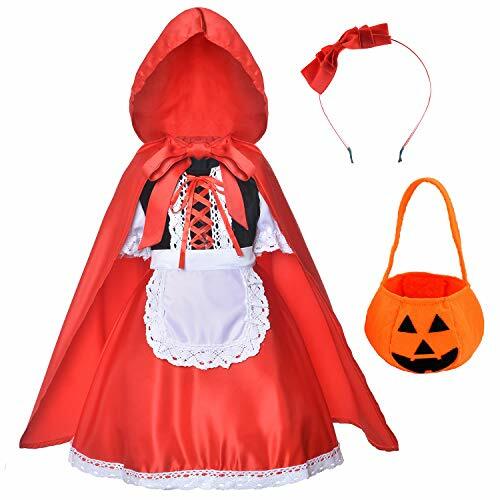 Shoes, tights, and basket not included.